These are based on Yupon’s illustrations of the ukes, Akira, Konoe, Youji from 2010. See this post.This means we can expect the semes to be made sometime down the road… omg our wallets!!! If I’m not wrong, these boys are only available via “special lots” tickets which costs 800 Yen each. I’ll update again when more details are available. Judging from the detail, I think you can expect a damage of at least 4,000 Yen per plush. And that’s not including shipping and proxy fees since so far most Nitro+Chiral plushies are not sold in usual hobby stores that ship internationally. 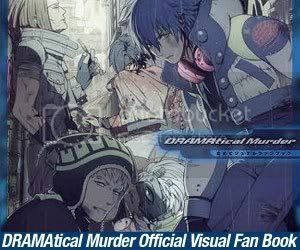 Anyway, Aoba’s illustration should be new. I haven’t been very updated with the latest developments, so I could be wrong. If I can only have one, I’ll go for Konoe. Me and my neko-mimi fetish :P followed by Akira.